Properties in Jonas Ridge Snow Tubing average 4.7 out of 5 stars. Escape to Linville Falls & Jonas Ridge, NC! Property 2: Escape to Linville Falls & Jonas Ridge, NC! Riverfront Newland Home w/Pool & Golf Club Access! Property 6: Riverfront Newland Home w/Pool & Golf Club Access! Property 9: Within minutes of Skiing, Hiking, Banner Elk, and more. Property 13: Luxury cabin with beautiful long range views. Land Harbors Lake Home w/Outdoor Fireplace! Property 14: Land Harbors Lake Home w/Outdoor Fireplace! Ryan's Rest- Comfortable Home, Spectacular Views! Property 16: Ryan's Rest- Comfortable Home, Spectacular Views! Gingercake Acres- Beside the Linville Gorge Wilderness. Pet Friendly! Property 17: Gingercake Acres- Beside the Linville Gorge Wilderness. Pet Friendly! Gated Sugar Mountain Condo w/ Hot Tub Access! Property 18: Gated Sugar Mountain Condo w/ Hot Tub Access! Property 19: Completely remodeled! Fenced yard! Close to amenities in Linville Land Harbor. 100 private acres of mountain splendor. You won't find anything else like it! Property 25: 100 private acres of mountain splendor. You won't find anything else like it! Hike from front door to Waterfalls! Hot tub under the stars! Property 26: Hike from front door to Waterfalls! Hot tub under the stars! Walk to the Slopes - Luxury Above the Clouds 2BR CONDO w/ Breathtaking Views!! 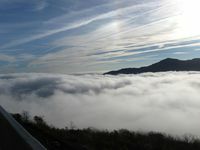 Property 28: Walk to the Slopes - Luxury Above the Clouds 2BR CONDO w/ Breathtaking Views!! Enjoy the Blue Ridge Mountains & the BLC, close to everything! Property 30: Enjoy the Blue Ridge Mountains & the BLC, close to everything! Property 43: DATES AVAILABLE IN MAY, JUNE AND SEPTEMBER. Property 45: Come enjoy the GORGEOUS views and the comforts of home! Affordable Rate with a Priceless View! Property 46: Affordable Rate with a Priceless View! The condo feels like home. It is amazing to watch people ski down the ski slopes. The difference in temperature is unbelievable. My brother and I are both professionals and needed a quiet place to feel a sense of retreat. The cabin was just right. Not far from Roan Mountain, Linville Falls and good trails. Wouldn't recommend the sofa bed for an adult, but the king is comfortable. Good choice for us.